We, the Maitriyana Community of the Buddhist Nation, in order to preserve our cultural sovereignty, achieve the blessing of Liberation, maintain a sustainable development, live with humility and gratitude toward nature, help and guide the poor and oppressed, do create and establish this Constitution for the government of the Maitriyana Buddhist Community. The Buddhist Nation shall be regulated by the ethical principles of non-violence, having the duty to promote individual freedom and social peace as a system of integral well-being, so that it renounces to any kind of violence and use of force. The Maitriyana Community is guided toward a democratic and pacifist system of government, having the Purpose (Dharma) to preserve the ancient spiritual traditions in the political, economic, cultural and environmental fields. 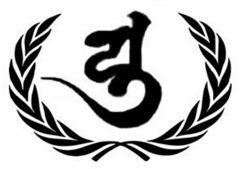 An effort is made to transform the present situation of the Buddhist Nation into an international federation based on the practical ideals of world peace, social justice, advanced education and ecological harmony, promulgating and legalizing ethics as the fundamental guide of humanity. The Buddhist Nation reaffirms its tribal and communal sovereignty, seeking a relationship of solidarity and mutual support with all States. On no occasion war or armed intervention shall be supported in any kind of country. The boundaries of the geographic territory of the Maitriyana Buddhist Community are the places where the commune (sangha) is currently located. At the same time, not only sovereignty is reaffirmed over the cultural territory of the Buddhist Nation, including monuments and millenary sites with spiritual value during the last two thousand six hundred years, but it also holds the right to access universal jurisdiction in defense of both justice and equality of humanity and the rights of Mother Earth. The Buddhist Nation shall provide the right to citizenship or membership within the commune (sangha) to all traditions and lineages that recognize their cultural descent from Siddharta Gautama, such as Theravada, Mahayana, Vajrayana, Navayana and Maitriyana. Simultaneously, shall be allowed the incorporation of any individual that wishes to be part of this millenary tradition positioning the Maitriyana Buddhist Community as a distinctive and separate group with respect to the rest of society. The membership shall depend on the assumption of the spiritual values and ethical laws of the Buddhist Nation, whose registration will be in charge of the Executive Power that is the international temple World Association of Buddhism. Every member shall have the right that his or her spiritual name is respected. This membership will be equivalent to a citizenship within the Maitriyana Buddhist Community, not being similar to a register to vote in the decision making of the self-government of the commune (sangha). Following the tradition of the ancient tribal republics (sanghas) of India, the powers of the government of the Buddhist Nation shall be divided into three interdependent branches: the executive, legislative and judicial. The equilibrium of this self-government system of the Maitriyana Buddhist Community is the tripartite relationship between the Buddhist Temple, the Buddhist Confederation and the Buddhist Tribunal. This relationship shall be based on the possession of the most extraordinary wealth: the three jewels of the Awakening-Purpose-Commune (Buddha-Dharma-Sangha). In this way, a system of government based on the three pillars of Meditation-Wisdom-Ethics (Dhyana-Prajña-Sila) is affirmed. The executive power of the Maitriyana Buddhist Community shall be in charge of the International Temple World Association of Buddhism, whose president shall be the Supreme Patriarch (Sangharaja), who shall perform his or her function for a period of eight years. The election of the function of Supreme Patriarch (Sangharaja) will be carried out by the registered voters, who are the members of the board of directors, through the majority of votes. The Supreme Patriarch (Sangharaja) shall be a Buddhist master and also leader of a spiritual tradition, having to be domiciled in the boundaries of the Temple. The functions that it shall have will be executing actions tending to keep the functioning and developing of peace, social justice, education and environmental health of the Maitriyana Buddhist Community, receiving support from the rest of the Board of Directors in order to carry out these tasks, especially the Vice-President and Secretaries. The President may create additional secretariats and also maintain the right of veto. In case of absence of the President or Supreme Patriarch (Sangharaja) for reasons of death, resignation or expulsion, the position shall be assumed by the Vice-President, who shall remain in office for the remainder of the term. The legislative power of the Buddhist Nation shall be in charge of the United Buddhist Nations Organization, whose board of directors shall provide credentials to the members of the commune (sangha). The School or executive power of the Maitriyana Buddhist Community shall have the function of demarcating the spiritual teachings and ethical rules that the apprentices shall follow, so it is fundamental that such institution is directed by Buddhist masters, who will be able to resort to the support of secretaries in order to carry out their projects and administrative tasks. The President of the Confederation shall have the power to establish teachings and rules which are appropriate for the welfare of the Buddhist Nation and the entire world, provided that their spiritual style does not contradict the Purpose (Dharma) of the customary traditions inherited from Siddhartha Gautama and that have been practiced for two thousand six hundred years. These teachings and rules shall be publicly transmitted and exposed, in the same way that shall occur with the judgments and rulings of the court of justice of the Maitriyana Buddhist Community. In case of death, resignation or expulsion of the Rector, his or her duty to promote culture, of inherited knowledge and spiritual traditions shall be filled by the Vice-Rector with the support of the Board of Directors. The judicial power of the Buddhist Nation is in charge of the International Buddhist Ethics Committee & Buddhist Tribunal on Human Rights, whose Jury members are all Buddhist citizens acting on behalf of Buddhist institutions. The Presidency of the Committee and Tribunal shall be in charge of a Buddhist master, whose function shall be submitted to elections every ten years. In addition to the position of Buddhist Judge (Vinayadhara), there shall also be the functions of Prosecutor and Public Defender, who shall be Buddhist citizens with legal experience in Buddhist Law and Human Rights. The Presidency of the Committee and Tribunal shall have the ability to designate or create secretariats. As for jurisdiction, originally the Judicial Power of the Maitriyana Buddhist Community has special tribal jurisdiction over violations of Ethics, although there is also universal jurisdiction over violations of Human Rights committed in other countries. This ethical supervision includes the expulsion and removal of members from the executive and legislative powers of the Buddhist Nation, exercising control over the functioning and purity of the Temple and Confederation. At the same time, the legal procedures of the Committee and Tribunal shall be continuously improved on the basis of the spiritual teachings and ethical rules of the Maitriyana Buddhist Community in order to ensure a due process of justice, by providing a quick and efficient ethical solution to the problems. These decisions, judgments and resolutions shall be published and disseminated throughout the world, especially when dealing with matters concerning the international community. The authority of the Committee and Tribunal includes the recommendation of suspension and expulsion of the accused ones, using the ethical justice system instead of criminal or civil justice. The members of the Committee and Tribunal will be sanctioned with expulsion in cases of violence, defamation, corruption, sexual abuse and drug addiction, because every individual in charge of a function in the Buddhist Nation shall do so with honor and commitment. On the other hand, the Committee and Tribunal may issue an opinion about spiritual awards as matters concerning the Buddhist Ethics. All members of the Judicial Power shall never be considered as employees, reason by which they shall not be monetarily remunerated for the exercise of their governmental functions. Everyone shall be considered as equal before the Law, regardless of their sexuality, nationality, economic status, academic level or any other distinctive element. The juridical process of the commune (sangha) shall be open to every individual, institution or country within the jurisdiction of the Buddhist Nation, offering protection and remedy to all those who experience suffering, always respecting the values and laws of the Maitriyana Buddhist Community. In the juridical proceedings carried out by the Buddhist Nation, the accused ones shall have the right to access a private lawyer or a public defender, being able to both refute the evidence presented by the Prosecutor as well as presenting evidence in their favor. In addition, accused ones have the right to a quick trial carried out for the impartiality of a jury without biases of greed, hatred and deceit. The Maitriyana Buddhist Community shall not prosecute and sentence an accused twice for the same offense. Nor shall a sentence involving cruel punishments, such as the deprivation of life, freedom, health and property, be performed, and having to exercise an ethical justice system that seeks mediation, reconciliation and the learning of the accused. The Buddhist Nation shall allow freedom of expression, of press, religion and work, as well as the right to peacefully gather or the right to petition before the Maitriyana Buddhist Community in search of conflict resolution. The fundamental principles of Human Rights Declarations and Treaties developed within the international community shall be adhered, simultaneously developing new legal instruments that evolve the field of International Law in pursuit of protecting the intrinsic dignity of all forms of life, especially defending the individual and collective rights of Buddhist Peoples and Spiritual Communities. This function shall be in charge of the International Buddhist Ethics Committee & Buddhist Tribunal on Human Rights, as well as the United Buddhist Nations Organization. On the other hand, any local or international law that contradicts dignity and ethics shall be rejected and declared as invalid. This Constitution respects the traditional rules of the ancient legal code (vinaya) of two thousand six hundred years ago, at the same time that the Maitriyana Buddhist Community reaffirms the advice of Siddharta Gautama that certain minor rules should be changed, replaced or eliminated according to the passage of time and circumstances. This need for reform is evident in the light of the international human rights treaties to which this Constitution subscribes. It shall adhere to the respective laws of the host countries of the commune (sangha) except in cases in which they are contrary to the ethics and dignity of life. The Maitriyana Buddhist Community has a republican tribal system composed by the executive, legislative and judicial powers, but it also has a fourth power, the Educative Power, which is leaded by Zen Multiversity, School of Integral Buddhism and Super-Integral Institute. While the political system of the Maitriyana Buddhist Community maintains a democratic republican style, in turn, the economic system develops a libertarian communist style, so that all funds collected by the University and School are also destined for the maintenance of the other powers which are the Temple, the Confederation and the Tribunal. The executive branch is responsible for such administration or budget redistribution. This means that the economic income is redistributed equitably to all the powers of self-government of the commune (sangha), which should never behave for profit. Therefore, all income from cultural activities and donations shall be used toward wise and compassionate purposes that keep the Purpose (Dharma) and sacred destiny of the Buddhist Nation alive, providing educational opportunities for Buddhist Peoples and Spiritual Communities in order to be developed. This also involves providing physical and mental health services available at the International Temple World Association of Buddhism. The right of every human being to access free advanced education shall be respected, both in childhood and in adulthood. These scholarships shall be accompanied by effort, purity and commitment on the part of the student or apprentice, who will receive spiritual, scientific and artistic knowledge. It shall be taught in the two main languages of the world, which are English and Spanish. The environmental health of the commune (sangha) shall be promoted, teaching the whole society with techniques to avoid pollution and the destruction of nature. The members of the governing councils of the Executive, Legislative and Judicial Powers, which are respectively the Temple, the Confederation and the Tribunal of the Maitriyana Buddhist Community, shall subscribe to the spiritual oath of expressing the solemn commitment to fulfill the duties assumed under the guidance of the Buddha-Dharma-Sangha, preserving, protecting and defending the spiritual tradition, the Buddhist Nation and the Mother Earth, doing everything possible to promote and develop the politics, economy, culture and environment of the commune (sangha). The Maitriyana Community of the Buddhist Nation reserves the power of self-determination to propose laws and amendments to this Constitution, which shall always be approved by its founder or by the majority of the board of directors and shall also be consistent with the spiritual tradition inherited from Siddharta Gautama. These amendments may be proposed by different traditions and lineages throughout the world. The headquarters of the government of the Maitriyana Buddhist Community is located in Costa Bonita, Argentina. At the same time, all the institutions involved in the executive, legislative and judicial powers of the commune (sangha), which are the Temple, the Confederation and the Tribunal, are recognized as offices and governmental branches of the Maitriyana Buddhist Community. The Constitution of the Maitriyana Buddhist Community came into effect on April 14, 2019 after having been ratified by the presidents of the three powers, and shall be preserved in English and Spanish as a fundamental legal instrument for the Buddhist Nation at the international level.